The ANNE IZARD STORYTELLERS’ CHOICE AWARD was established in 1990 to honor Anne Izard, noted storyteller, librarian and Children’s Services Consultant in Westchester County, New York. The award highlights distinguished titles in the field of storytelling published for children and adults, and promotes the riches of storytelling to even wider audiences. For information on the Ninth Anne Izard Storytellers’ Awards held on June 16th, 2009 click HERE. 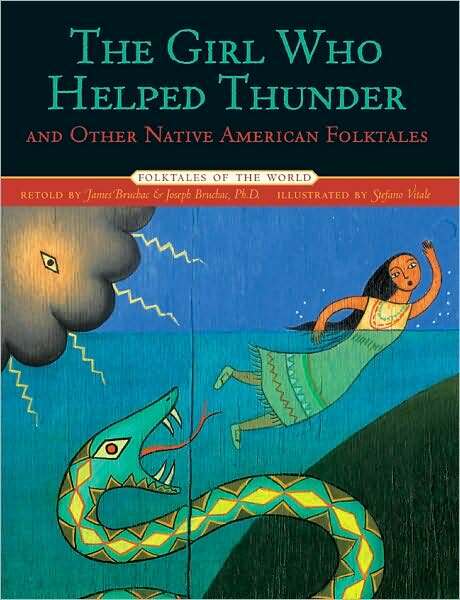 From the beginning tale about the origins of story to the final one where Raven saves the sun for all people, The Girl Who Helped Thunder takes its readers on a thought-provoking ride through North American legend and legacy. This book is a compilation of tales which serve as a tribute to both its authors and the peoples they obviously cherish. When an ogre comes to town demanding a bride, the town decides to sacrifice a poor nameless girl—referred to as Scraps-and-Smells by some, Skin-and-Bones by others or Sweets-and-Treats by still others. With lilting language, Cole tells the captivating story of a brave and clever girl—who outsmarts an ogre, shows up a town, and earns herself a name. It all starts with a pea, and then a cranberry, and then…. 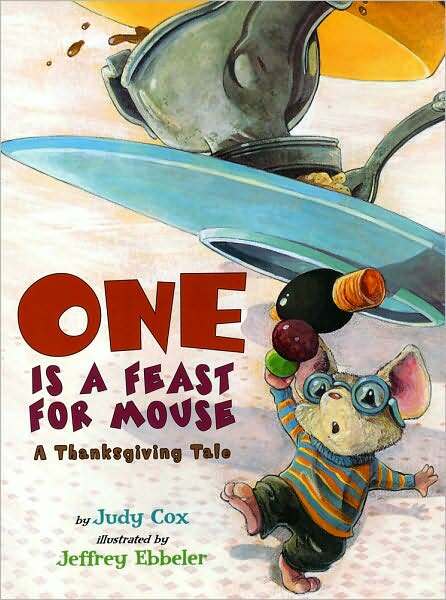 well, a delicious Thanksgiving feast of a tale featuring Mouse with eyes MUCH bigger than his stomach and a sly sneaking up cat. It ends with a pea, too, but not before Mouse and Cat have the expected encounter with unexpected consequences. 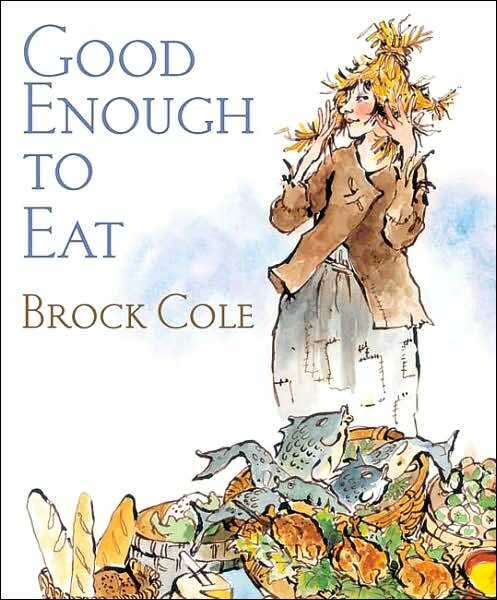 The delicious language begs to be told aloud with young children. They’ll want to join right in the refrain that reminds us all to be grateful for small things (like this story!). “Finding husbands to choose from will be easy—picking the right one could be tricky,” advises Martina’s Abuela. 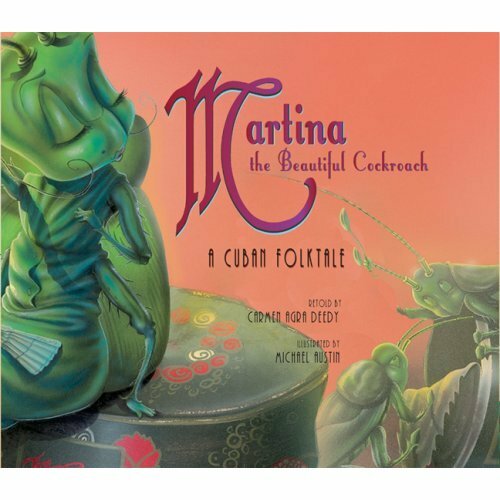 A fresh and outrageously funny retelling of this humorous Cuban folktale about a young cockroach on the verge of marriage—is flavored with Spanish words, sassy dialog, and sage advice for prospective brides. History filtered through childhood innocence brings special poignancy to this compelling picture book account of segregation. When Abbey Finch comes back from town with tales of a “fountain bubbling with “colored” water”; Lulu and Jelly are sparked with curiosity and decide they must have a taste for themselves. Determined to find out what this water tastes like they are not prepared to encounter the realities of Jim Crow. 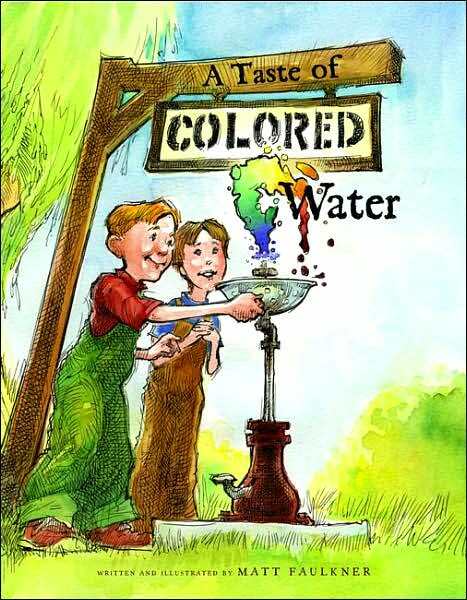 Matt Faulkner has created a powerful teaching tool for telling and a wonderful picture book to share with anyone who wants who wants “A Taste of Colored Water”. Freeman, Judy. 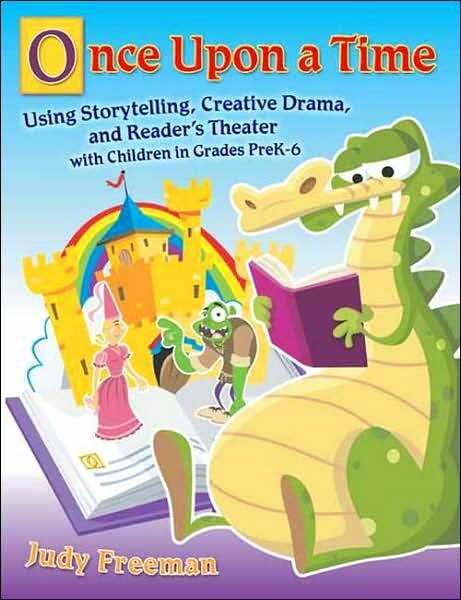 ONCE UPON A TIME: USING STORYTELLING, CREATIVE DRAMA AND READER’S THEATER WITH CHILDREN IN GRADES PREK-6 (Libraries Unlimited, 2007). For the novice to experienced storyteller, here is a resource jam-packed with one idea after another and “field tested” so they can be used with confidence. Included are booklists, how-to’s, some full texts of tales, songs and stories in Reader’s Theater format—a treasure trove for all! Hayes, Joe, retell. 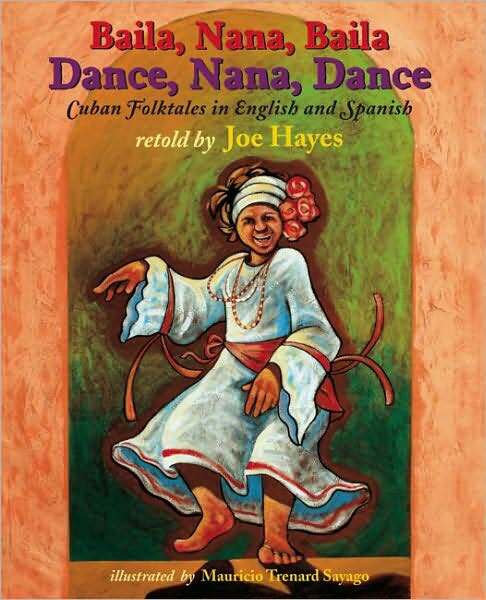 DANCE, NANA, DANCE/BAILA, NANA, BAILA: CUBAN FOLKTALES IN ENGLISH AND SPANISH (Illustrated by Mauricio Trenard Sayago, Cinco Puntos Press, 2007). Storyteller Joe Hayes has been visiting Cuba since 2001 when he was first entranced by the hospitable people and their heartwarming tales they lovingly share. These stories he collected offer a glimpse of Cubans’ fun-filled zest for life, joy and love of song and dance. Henson, Heather. 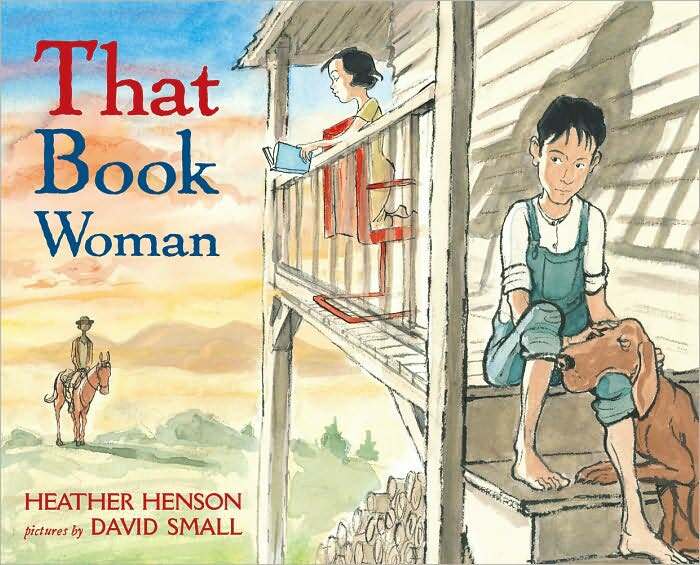 THAT BOOK WOMAN (Illustrated by David Small, Atheneum, 2008). Henson’s spare and simple tale was “inspired by the true and courageous work of the Pack Horse Librarians…in the Appalachian mountains of Kentucky.” Call it a poem, a story, or a monologue, this earnest first person account, with its rhythmic mountain vernacular, reads beautifully and will move all who take a love of books and reading for granted. 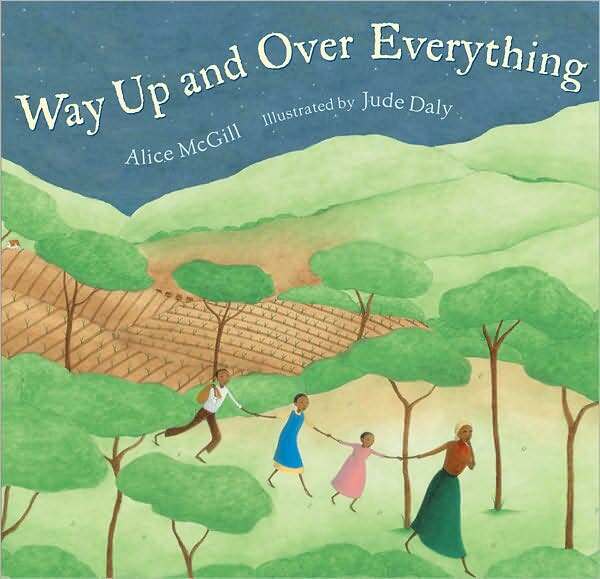 A family story passed down by the author’s great-great-grandmother Jane, tells of slaves yearning for freedom and the magical powers that enable them to escape and “disappear into thin air.” Alice McGill remembers her great-grandmother sharing the story “as if unveiling a great, wonderful secret” and that she and her siblings long believed that certain Africans shared this gift of “taking to the air –way up and over everything.” Alice McGill’s book is a wonderful addition to a storyteller’s repertoire. The story of the poor country woodcutter who becomes Doctor All—Knowing with just a sign, a suit and a sublime belief that he knows what he is doing, is a feast for both tellers and listeners. 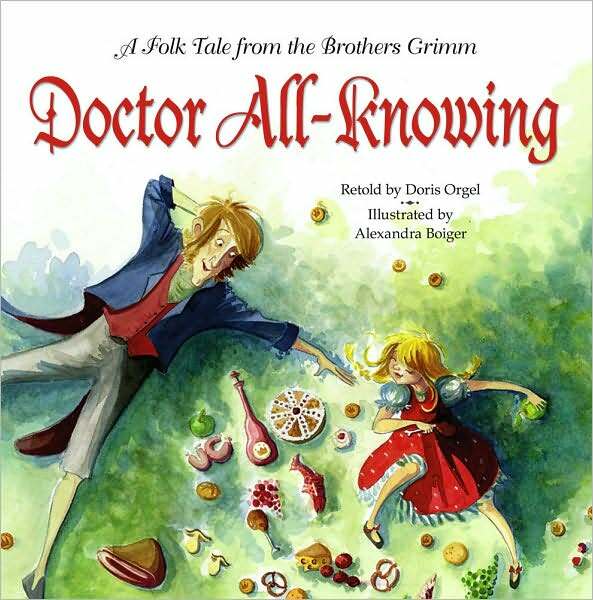 Based on a little-known Grimm Brothers folk tale, Doris Orgel’s wondrously silly book is just what the doctor ordered. 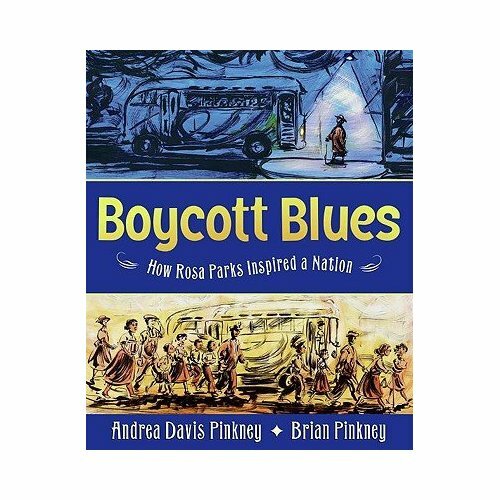 Andrea Davis Pinkney and her illustrator husband, Brian have created a blues ballad that sings and, ultimately, shouts the joyous tale of the foot-weary seamstress and the people of Montgomery Alabama who changed the world with their courage. Boycott Blues is a hymn to the power of shoes, determination and unremitting hope. A soldier returning from war strikes a bargain with the devil and must wander the world for seven years dressed only in a bear’s skin. This “tale of the brothers Grimm” is enhanced by the measured tones and haunting images of Schlitz’ powerful retelling. 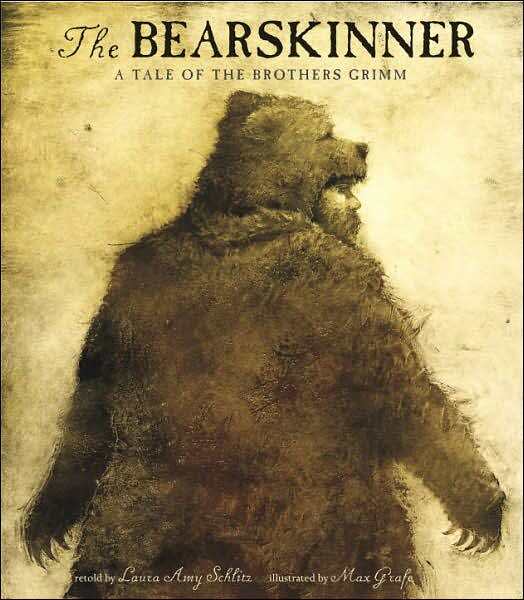 And, in an intriguing twist, it is the middle and not the youngest daughter who perceives the Bearskinner’s true character and agrees to be his wife. A compelling and unforgettable celebration of the strength and endurance of the human spirit from the Newbery Award winning author of Good Masters! Sweet Ladies! 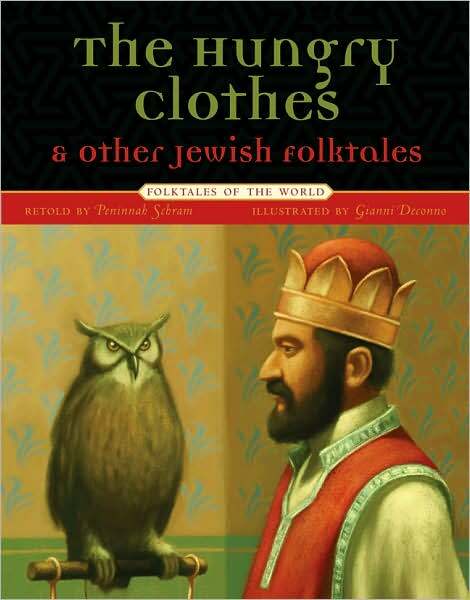 Humorous, sly, wise, and moving, this lively collection of Jewish folktales is embedded with ancient values that uphold the Jewish faith and retold in a fresh manner that makes them unforgettable to young and old alike. Each story is preceded by an annotation by the author that brings each story into sharp focus. A glossary and source notes will aid scholars and storytellers alike.